Order online. 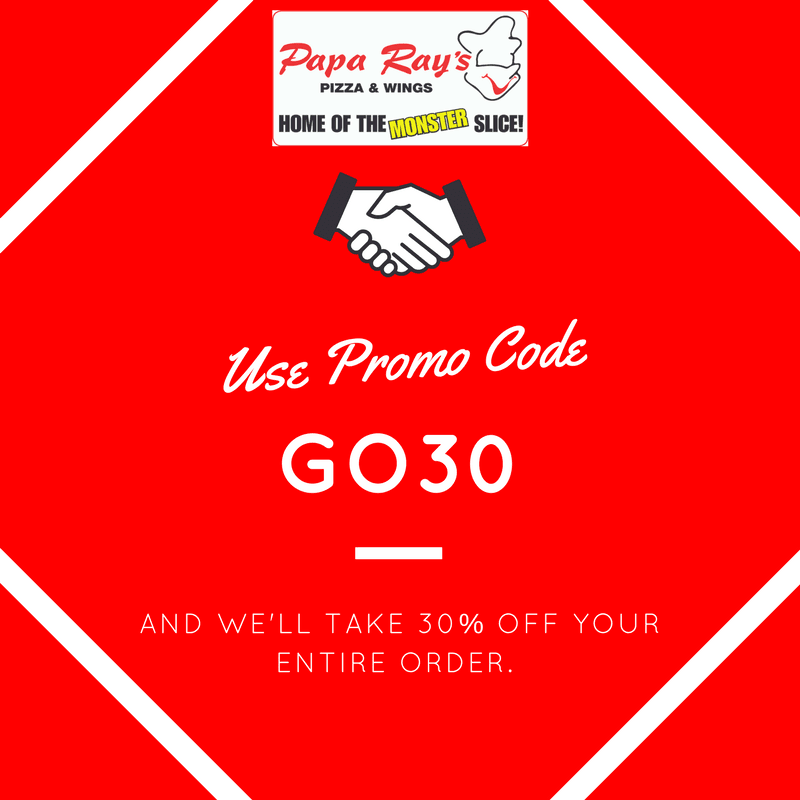 Enter promo code GO30 and take 30% off your entire order! Have you tried our wings yet? Dont forget, we have 50 cent wings today. So grab your friends and pop on over to this Glen Ellyn pizza joint. This is the best deal in and around Wheaton, IL for juicy, meaty wings! Do you live in the city? We have 3 Chicago pizza locations easily accessible for carry out, delivery, or dine in. After you sink your teeth in our award wining wings, tell us what you think! Yelp us, Facebook us, send us a message! Tell us what you like, dont like, how to improve, etc. We LOVE feedback! And then, let the count down being! Only 1 week until its Tuesday again! These 50 cent wings are the best value at any Chicagoland pizza joint.